Polls is a powerful feature which allows you to collect data and engage with your lists. In the last update, we included automated polls. In this update, we inform you that you can now customize how many answers you give for a question. Previously, each question had to have four answers. 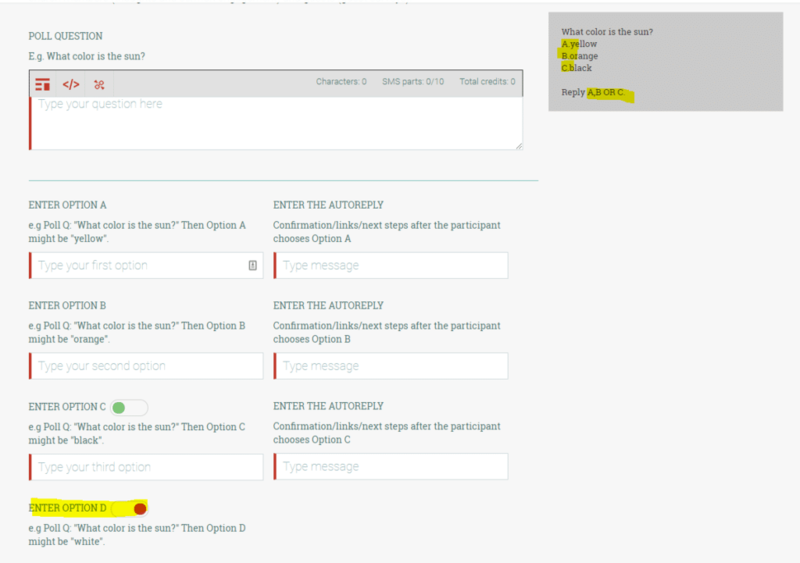 Now, you can disable one or two answers, so each question can have between 2 (the minimum) – 4 answers. In other words, 2, 3, or 4 answers. This 2-answer option is perfect for Yes/No responses…something on your wishlist. We are excited about this feature, and hope you put it to good use!